ASUS ZenFone 4 Review: Still Worthy Of The Name? ASUS’ newest ZenFone 4 is a big step up from the previous iteration in terms of performance, design and camera. Despite just having a mid-range Snapdragon 660 processor, the phone is still able to deliver flagship-level performance without having to sacrifice battery longevity. The ZenFone 4 ticks most of the right boxes for a mid-range smartphone. Offering an above-average rear camera, reasonably long battery life and attractive design, the handset is a decent choice that will meet 99% of buyers’ needs. Overall then, while we're sure that the ZenFone 4 won't eat into that elite top, top tier market, we definitely think it has legs to make a major impact in the mid-tier. What really stands out with the Zenfone 4 is the quality of the build. This is a good looking phone, in many ways similar to the sort of thing we've been seeing from Honor over the past 12 months. With that in mind, the Honor 9 is likely to be this phone's biggest competitor and with a £379 price tag on the Honor 9, you can see that Asus has its work cut out for it. There's certainly a lot to like about the ZenFone 4, and it's easily the most complete package Asus has ever released over on UK shores, but I wonder if it does enough to truly challenge the similarly-priced competition. ASUS Zenfone 4 (Snapdragon 660) Review – Is It Worth $550? No, I’m not telling you to wait for Zenfone V, that’d be ridiculous. But wait, there’s more! Personally, I find that ASUS gave the Zenfone 4 a love-it-or-hate-it relationship with their obvious focus on their mid-range contenders, the Zenfone 4 Selfie and Zenfone 4 Selfie Pro. The features it has not necessarily outweigh one another, but it would have been really great if ASUS retails this for below $500. ASUS certainly did not let down with their mainstream flagship device, the titular character of the Zenfone 4 lineup. 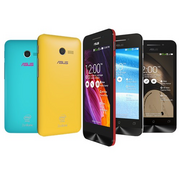 With its premium and classy design, up to date internals, Super IPS display, and good camera performance, the ASUS Zenfone 4 is certainly worthy of representing an entire series of smartphones. 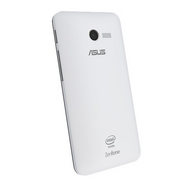 On the whole, the ASUS ZenFone 4 is a decent little phone. It doesn’t do anything exceptionally well, but it doesn’t try to. What it tries to be is a dependable budget phone, and it mostly succeeds. The display works fine. Granted, it’s not the vivid display on the iPhone 5s, though they may be the same size – but the ZenFone is a whole lot cheaper. ZenUI, too, remains sleek and simple, though slightly more fiddly due to the smaller screen. If you’re looking for a budget blower, don’t waste your money on this - save up a teeny bit more and grab yourself the latest Moto G or even the Moto E. Its paltry display, bulky build and muddy resolution doesn’t do it any favours, and you’re better off spending your cash on something with a bit more quality. The Asus Zenfone 4 packs lots of features into a tiny package. But the budget price means that the phone has cut corners, which is evident in the low-resolution display and underpowered processor and camera. Yet, there’s lots to like about the Zenfone 4: the design and the build quality is one of the best we’ve seen on a budget phone, it’s simple to use and basic functions run smoothly. It also lets you boost the storage with the SD card slot. If you are cash-strapped, looking for an Android phone that provides good value for money, the Zenfone 4 is one of the best phones you can buy at the moment. Though not all, it checks most boxes to be a solid budget smartphone. However, if you need a slightly better display and battery life then go for the Moto E.
Overall, we're pleasantly surprised by the Asus ZenFone range. There's a smartphone to suit everyone here, whatever your budget and whatever screen size you prefer. We're excited to see what Asus has up its sleeve next, and we expect rivals will be curious and perhaps slightly worried, too. For £99, we're impressed by the ZenFone 4. It's nicely designed, has brilliant software features, is suitably speedy and has decent battery life, but it's not outstanding. We'd like to see a slightly better camera and the addition of 4G connectivity. We'd suggest checking out the EE Kestrel and the Motorola Moto G 2014 as alternatives to the ZenFone 4, but it's certainly a worthy contender and we think you'll be satisfied if you decide to go with this good budget smartphone. 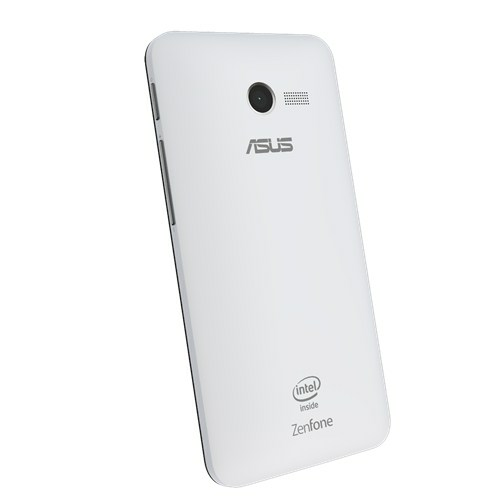 The ZenFone 4 is a great value handset that provides good smartphone experience. With this handset, Asus has proved that it is possible to deliver an affordable phone without compromising on the quality. The ZenFone 4's multimedia performance is better than most competing handsets. On the other hand, the display and battery life are points of concern. Overall, if you're planning to spend minimum on a smartphone, the ZenFone is the way to go. 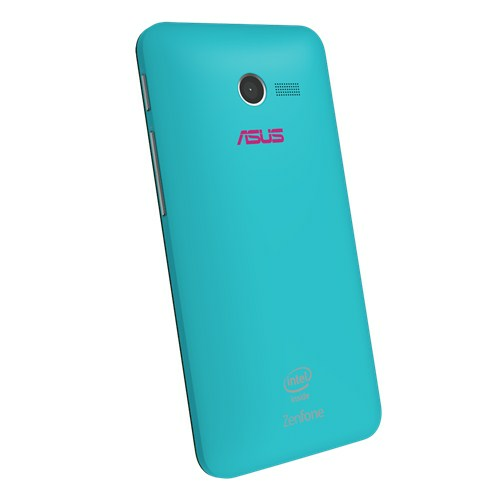 The Asus Zenfone 4 is a phone that looks and feels a bit like a smaller version of the Motorola Moto G. However, in use it sits a few rungs below Motorola’s budget phones. The Asus Zenfone 4 is affordable and looks good, but there are a few too many core issues with the screen and battery life to make it a champ. 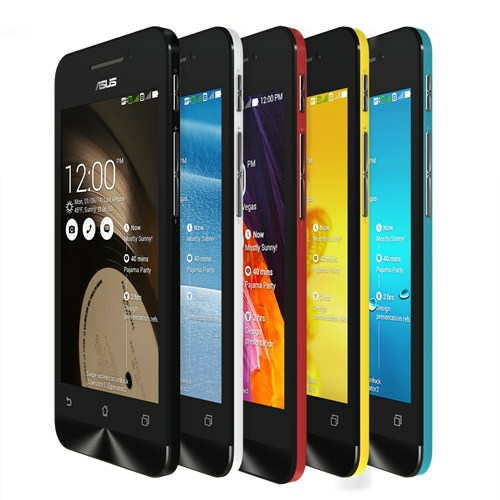 The Asus Zenfone 4 is a sound first try at a phone for the masses. However, there are just a few too many problems for it to be a really great alternative to the several great £100 phones out there. 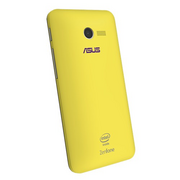 It’s not really a case of missing features, much as we’d like to see 4G in the Zenfone 4. It’s more that the poor battery life and uninspiring screen mean the phone doesn’t really stack up against either the Motorola Moto G, or the cheaper Moto E.
The Zenfone 4 is a frustrating tale of two phones. There’s the compact, user-friendly 4-inch smartphone that sports a colourful design, slick performance and a neat interface. Then there’s the phone that struggles to last from sunrise to sunset, that has you keeping one eye permanently on that ever-decreasing battery meter. The Zenfone 4's screen is pretty bad but nearly everything else is outstanding. We're particularly impressed with the device's camera capabilities. Full HD video recording is pretty neat, and it's nice to have a front camera - more so one that isn't terrible! We're looking forward to the A450CG revision which has a totally different screen and have high hopes that Asus will improve on this phone's one weakness. Positive: Nice design; good cameras; decent battery life. Negative: Poor display. Positive: Good price; nice design; decent cameras; long battery life. Negative: Poor display; weak processor. Positive: Good price; powerful processor; nice dual cameras; stylish design. 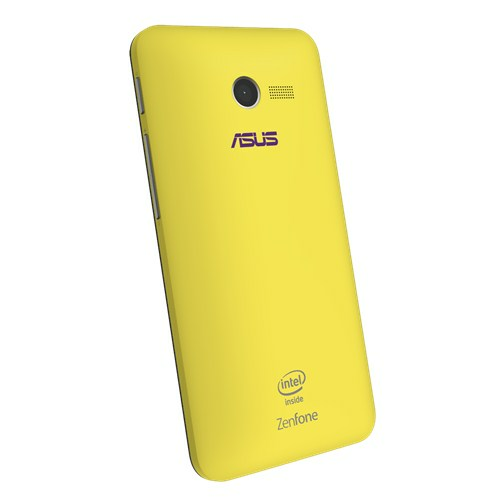 Asus ZenFone 4: la nuova serie! Positive: Elegant design; solid workmanship; decent cameras; nice performance; good price. Positive: Nice design; great built quality; good hardware; nice dual cameras. Positive: Solid workmanship; metal case; decent dual cameras; nice display; fast system. Negative: Relatively high price. Model: The ZenFone 4 is Asus’ latest flagship mid-range smartphone. Featuring an attractive design, above-average camera, and reasonably good battery life, the ZenFone 4 is Asus’ finest phone to date and will meet 99% of people’s needs. It follows the same mixed-material strategy as the Galaxy S8 and iPhone 8, featuring a Gorilla Glass 4 front and back and metal sides. The device feels solid in the hand and the glass is not terribly slippery even when wet. It also ticks all the right boxes when it comes to functionality. On the front, users will find a fingerprint scanner, which although not the fastest around, works well enough. A bog-standard USB-C charging port and a 3.5 mm headphone jack sit on the bottom side. The 64 GB of internal storage will meet most users' needs, and the inclusion of a microSD card makes it easy enough to add further space if required. Under the hood, the Asus ZenFone 4 is powered by an octa-core, 1.4 GHz, Cortex A53 processor paired with 4 GB of RAM. With this hardware specification, multi-tab web browsing runs smoothly and the ZenFone 4 can stream video and music without issue. The ZenFone runs the latest Android Nougat 7.1 software overlaid with the Asus ZenUI skin. An update to Oreo has been confirmed. Asus has completely reworked Nougat’s settings menu, loading it with more customization options that can easily be counted. Some, such as Splendid, or the ability to create custom audio profiles are useful. 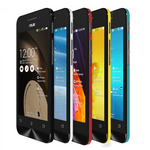 The display of the smartphone is a 5.5-inch 1080p FHD resolution screen. Some people may bemoan the fact that Asus did not take the step up to QHD, but the fact remains that for most people FHD will be more than good enough. A user will struggle to spot individual pixels, and text and icons are universally sharp. The Asus Splendid screen technology made it easy to manually adjust the ZenFone 4’s screen temperature. The ZenFone features a dual-lens rear camera that combines a 12-megapixel Sony IMX362 image sensor with a secondary 8-megapixel, 120-degree wide-angle lens. The setup is similar in strategy to that of the Galaxy S8, and a marked departure from most competing, mid-range dual-lens systems such as the Honor 9. Such devices use a mixed RGB and monochrome sensor setup. Asus claims the ZenFone’s setup enables the phone to take “five times brighter and clearer photos in low light” and offers a “200% larger” field of view than competing handsets. As far as the battery is concerned, it uses 3000 mAh model. Standby times are excellent as, unlike many flagships with skins, Android’s Doze feature does its stuff on the ZenFone 4. Doze is a nifty battery-saving feature that intelligently shuts down non-essential processes when the phone is not used for a prolonged period. As a result, the ZenFone 4 loses only around 1-3% of its charge overnight. 69.94%: This rating is bad. Most notebooks are better rated. This is not a recommendation for purchase.